Grieving For My Red Balloon – Infinite Sadness… or hope? Just last week I wrote about Letting Go Of Balloons. How appropriate, because in the days following I had to let go of a very special red balloon. Red is not my favourite colour (that’s green) yet I regularly find myself picking red when choosing an object by its colour. Whether it’s a red ribbon for Ted, or red shoes (I have a number of pairs including some I picked up in England recently and can’t wait to wear when the weather gets warmer), or red balloons. Red is a bold colour. It stands out. It says “look at me“, and everyone does. Even though its confidence may in fact not be great, the colour says “I’m me, and I’m proud to be me“. Well that’s how I like to think of it. I would always pick the red balloon. Back to the red balloon I lost. It was a very special balloon, and I had been honoured to have it in my life, and yes, I loved that balloon. That balloon was a very big part of my life, but the time arrived for it to leave. As I said last week, sometimes balloons are meant to be set free, sometimes they are happier to fly free, maybe to find another person to hold their string, or maybe to fly solo. Whatever the reason, sometimes it happens and while you know it’s going to hurt like hell, it’s time to say goodbye. But I will always remember my balloon with love and great fondness. As the balloon lifted off into the sky it felt to me like it’s string wrapped around my right arm and ripped it off as it left. Yes, that’s a painful image and the reality has indeed been very painful. I felt (and still feel) like my world has tipped on its axis, I am left without not only my red balloon, but also a limb ( or maybe life as I knew it) that I needed to function. My life changed, and I am left not only grieving for my red balloon, but also the limb that somehow made life work. It ripped away from my body with ‘violence’ and oh, how that hurt. The red balloon is gone now, and was perhaps never mine to have. Maybe I only had it on loan. It has more important things to do. As for my arm, which leaves me feeling incomplete? Maybe it won’t grow back, but I will learn to adapt. A part of me is gone with that red balloon, but when I have licked my wounds, and treated my hurts with care and time, life will return. Perhaps not the same, but there will be hope again. With that red balloon were hopes, dreams and plans. They are now gone, and in time I must build my life again. It will happen, but for now it is painful and difficult to adjust to life without my red balloon, and the part of me that left with it. PS. If you have no idea what I’m on about, then that is okay. Bear with me. This is just something that I needed to write for myself, while retaining some privacy. The Beatles sums up what I must do for now. This version, with a few others along for the ride… Music is such great therapy. Great analogy and perfect tie-in to your previous post, as you said. There are some balloons in life that we must release in order to make room for a different colored balloon, a different shaped balloon, a different purpose for the new balloon in your life. 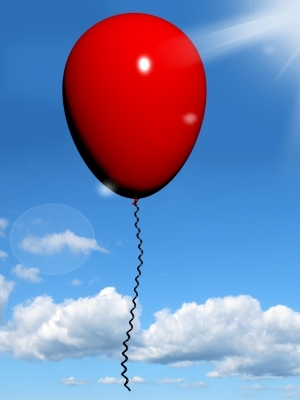 If this is true, in the releasing of this red balloon, after the grieving eases and the healing begins maybe this new balloon will then come floating into your life. Maybe, as it floats into your life, it will bring with it a new limb, a stronger limb, a limb with new and/or greater abilities and/or purpose than the previous one. Maybe this new balloon and this new limb will be the best ever. That’s my prayer and hope for you today, Cate!! And the balloons you can’t let go of, sometimes they pop. Or slowly deflate. Everything changes, just hang in there. I hope that you decide at some point to break free and get this story out. I can feel the conflict of wanting to share but not wanting to go there. I myself, have the same conflict and maybe I’m just projecting my desire over to you, but I hope that’s not the case. Ultimately, you have to do what’s right for you. See, I have this belief that if I just get it all out, once and for all, I’ll finally be free. I’m going to try it and see. Let the chips fall where they may??? Pingback: Claiming My Voice Back | Infinite Sadness... or hope? I’m not a huge fan of Hemingway’s, but this line is pretty good: “The world breaks everyone and afterward many are strong at the broken places.” The quote goes on, but this is the part I agree with. They say that suffering can (“may”, I would say) help you be more empathetic and helpful to others who suffer and have been likewise hurt. I firmly believe this to be true – and just as firmly wouldn’t like for others to use that line patronizingly on me. What the devil means to kill us – God uses to make us stronger. As much as I quibble with God about His ways, at the end of the day I know who the real enemy is. Don’t worry, I didn’t take it patronizingly, although perhaps a year ago when I wrote this I might have. Time heals. Another sometimes patronizingly used line, but true. As for God using it to make us stronger, I know in principle that it’s right but I still struggle with it. Surely there is a less painful way? It’s been hard for me to forget the ways my mother suffered before she died so needlessly. And wishing I had come up with a way to save her. 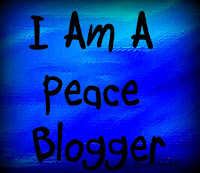 Yes, I may be “stronger” – but at what cost? Yeah. At what cost is a great question, although I have no answer. It is one I ask when I lose people I love.